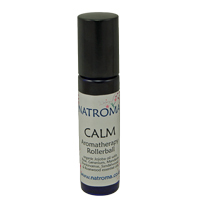 Our range of aromatherapy rollerballs contain essential oils blended in organic coconut and jojoba oils with added Vitamin E. Our Clinical Aromatherapist has ensured that each blend is a fragrant synergy, with the combined aromatherapy grade essential oils blended in harmony to support the user. We package these in blue glass rollerball bottles so they can be carried around in pockets or handbags, and discretely rolled onto wrists, pulse points or the temples whenever required. They are also lovely to just inhale straight from the bottle, with some being suitable to use as natural perfume oils. We’ve blended them in organic coconut and jojoba oils, since these lovely oils feel light and suit all skin types. Both organic coconut and jojoba oils also have a long shelf life and with the added skin-kind vitamin E, this means your rollerball will last and last! We hope these therapeutic blends will provide a welcome moment of fragrant calm, perhaps when the stresses and strain of daily life begin to a little feel too much. We make no medicinal claims for these rollerballs, but have given more information about the essential oils in each blend (and whether it should be avoided by certain customers). Please ensure the blend is right for you before purchasing, and if you are in any doubt about the suitability please contact us and we will be happy to offer further advice.